Since the 2016 U.S. presidential election was decided, I’ve had trouble committing to books. This happens to me in times of turmoil; after 9/11, I wasn’t able to read fiction for a couple of years. I’m Canadian. I live in Canada. Neither Trump nor the Twin Towers affect(ed) me directly, but as a citizen of the world who works with American friends, you absorb the aftershocks and emotional upheaval of tragedy across the border. You can’t help but be affected, if only by proxy. It’s the times when I need books the most — as an escape, as way to reorient my perspective — that I can’t muster the attention required, it seems. 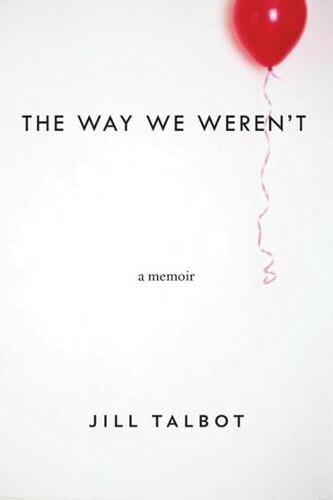 Talbot excavates the aftermath of her relationship with Kenny, the man who left her and daughter Indie when Indie was four months old. Unmoored for years after the relationship dissolves, Talbot drank heavily, did a stint in rehab, and moved among seven states in fifteen years to find the right fresh start. This book is far more than memoir-as-therapy. It’s the story of a strong woman who is still learning her own strengths. Talbot has a keen ability to examine her own fictions and actions; she’s a woman who writes to understand her past in order to embrace a better future. She’s the first to admit she doesn’t always get life right. Candour, honesty, and beautiful prose make this book one I’ll be thinking about for some time to come. In searching for her own way, Talbot helped me find mine. That’s the best gift any book can give.